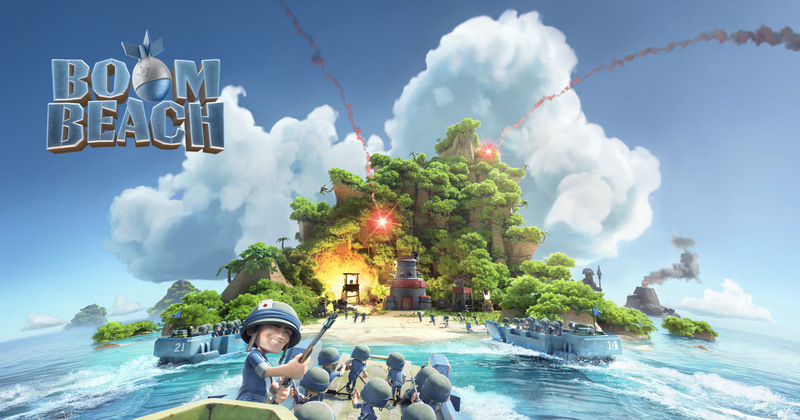 Boom Beach is a strategy video game available on Android and iPhone. In this game you fight your way to the top by destroying “Black Guards” and other players’ bases. You are given an Island at the start of the game and you level up by destroying enemy bases (Islands). Destroying each Black Guard base will give you 1 medal while destroying another player base will give you 2 or sometimes 3 medals. Good thing about Boom Beach is you can see enemy bases in real-time; plan a strategy and attack whenever you want. But be careful to check out enemy bases every once in a while, because you may not find the defenses at the same position. If you are a newbie to Boom Beach or you are having a hard time adding up medals, read these tips and you will get your rank up in no time. Always start an upgrade before closing the game and we cannot stress this enough. If you have enough resources to start an upgrade (building or troop), do it. Sometimes new players just close the game after playing for 10 or 15 minutes without starting an upgrade. What they don’t realize is that your upgrade remains active even when you close the game and when you come back online, it will be done. Upgrade your Saw Mill first. Wood is used in almost every upgrade and it is generated from Saw Mill. So, it is very important that you upgrade your Saw Mill as soon as possible. Otherwise you will just run out of wood and then mere stones won’t do you any good. Lookout for enemy bases. Don’t just train a random army and attack on opponents. Visit their bases first, plan a strategy and then attack. Some bases are easy to destroy with tanks while some can be demolished simply by using 4 or 5 Heavy and some Zookas. Remove trees from your base. Trees will automatically reappear on your base from time to time. Removing a tree will give you free wood. So, it would be a good practice to clear your Island of trees unless of course you like the greenery and don’t mind some monkeys hurling around. Build maximum residences. Sometime players forget building new residences or they just don’t consider them very important. That is a big mistake. Residences provide you free gold and gold leads to upgrade. You can build your army using gold and upgrade your troops in the armory. Don’t forget to build maximum residence buildings. Upgrade your radar. Radar is the single most important building of Boom Beach. You cannot expand your territory without increasing radar level. Hope you got these tips clearly. Now rush back to your island and destroy those bases. And don’t forget to start an upgrade before closing the game.